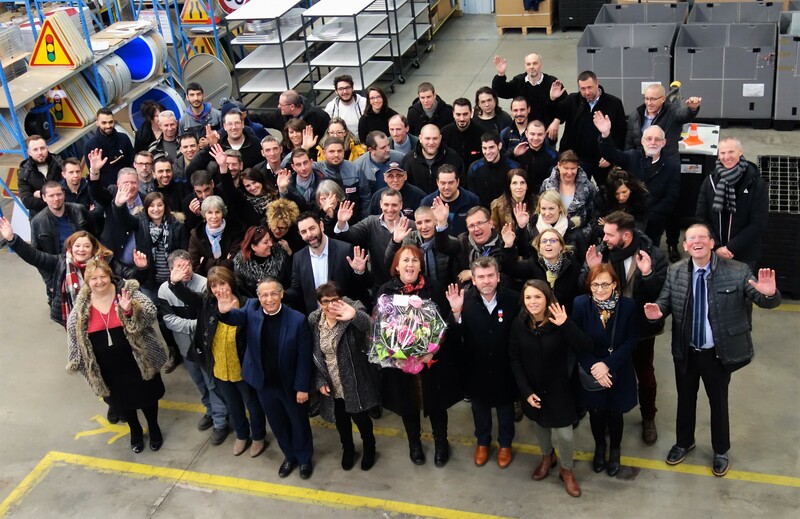 Friday 18 January, held the annual ceremony of medals at ISOSIGN, company specialized in the design and manufacture of road safety equipment. 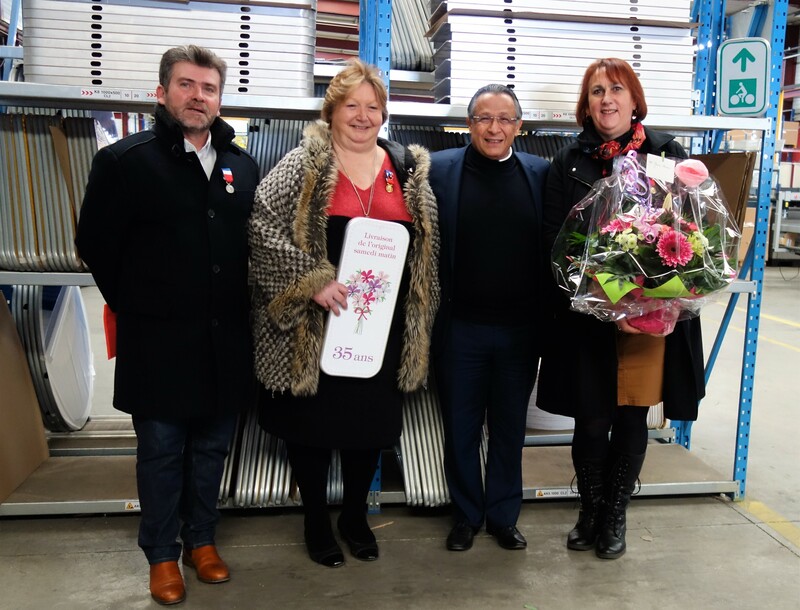 For this reason, Aly ADHAM, President of this company of 80 employees who don't continues to grow, and Alain bundle, Mayor of St. EUSEBIUS, gave three employees to ISOSIGN their medal to thank them for their loyalty for many years ! Each of them has expressed his gratitude and satisfaction for joining a dynamic company. Mr. Aly ADHAM which had met all of its employees for the occasion took the opportunity to express its wishes and thank a team strong and involved in the life of the company. For this, all were invited to lunch at the restaurant to share a friendly moment.